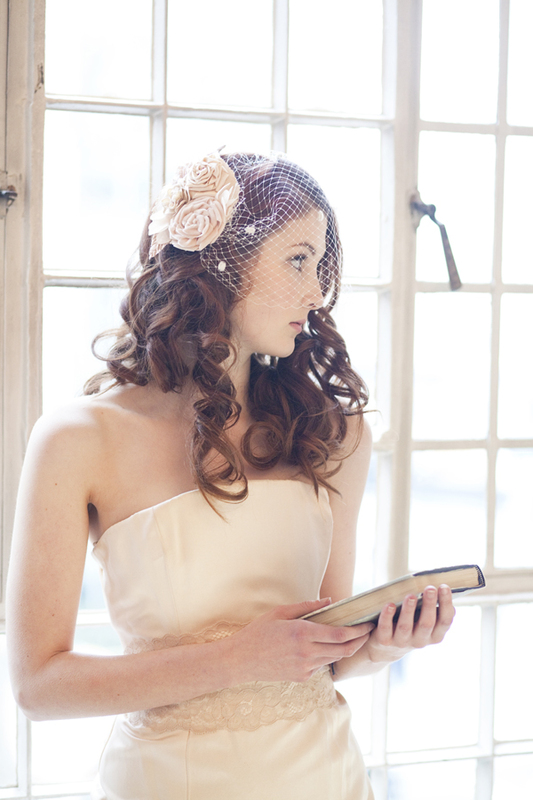 The Carris Rose Wedding Hair Comb is the perfect balance of delicate statement. A trio of beautifully shaped botanical leaves are paired with a large cup rose with hand formed stamens of Swarovski pearls and tiny seed beads. Delicate handmade Japanese seed beaded leaves alongside sprays of Swarovski crystals are the perfect finishing touch to this gorgeous piece. It is so super flexible as it works beautifully along the side of the head as well as tucked into the centre at the back, so this gold flower hair comb can be worn with lots of different bridal hair styles, and is perfectly suited to adorn the top of a veil too. The Carris Rose Bridal Hair Comb is available in gold or silver, and set on a beautiful wire comb, ready to slide into your chosen wedding hair style. A stunning statement vintage style headdress of layers of gold embroidered lace set with dozens of velvet millinery leaves and adorned with vintage rhinestones, freshwater pearls and mother of pearl flowers. 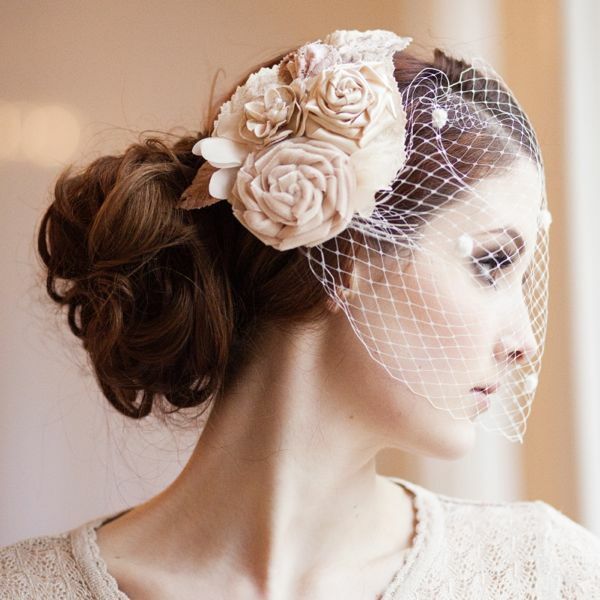 Designed to curve around your face for a beautifully soft, floral bridal look. 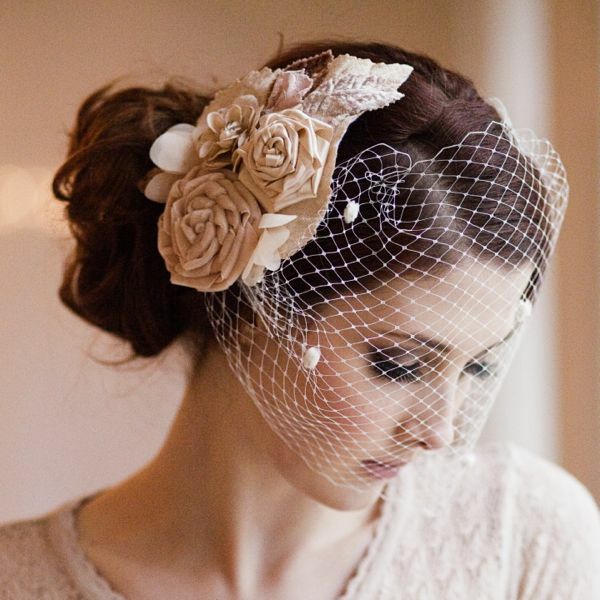 Available in shades of Blush Pink/Gold (as shown) or Ivory/Gold, set on a narrow silver-plated band wrapped in pale gold or brown ribbon for a comfortable and secure fit.